Some people still seem to believe there’s a petition signed by “31,000 scientists” saying global warming is not man-made and not a problem ( it’s making the earth “lush” according to the petition). This is in fact the fraudulent Oregon Petition, first produced and disseminated by the dubious ‘Oregon Institute of Science and Medicine’ and the George C. Marshall Institute, which is funded by Exxon-Mobil oil, in the late 90s (when it only had 17,000 dodgy signatories) and then re-released every 5 years or so. The authors of the attached mock up of a research paper are members of the ‘Oregon Institute’ who don’t include any climate scientists at all. They’re variously vets or physicians or chemists or electrical engineers – though given all the other things they’ve made up they might not even have those qualifications. They falsely claim that the ‘Research Paper’ was published in the journal of the US National Academy of Science, who disowned it and say they have nothing to do with it. Many of the supposed signatories, who include the unlikely ‘Dr. Michael J. Fox’ and ‘Dr. Geri Halliwell’, are not scientists at all; almost none are climate scientists (1) – (6). The man who established the George C Marshall Institute and began the petition was Fredrick Seitz, who was not a climate scientist but a physicist. Before he began producing propaganda against man-made climate change, funded by oil firm Exxon, he did lots of dodgy ‘research’ on how smoking cigarettes was supposedly harmless, funded by tobacco company P JReynolds. Exxon is among the oil companies which continue to fund groups disseminating climate change denial propaganda (7) – (8). It has offered scientists $10,000 for each research paper they produce contradicting the Intergovernmental Panel on Climate Change (IPCC) report that average annual global temperatures are rising at an unprecedented rate and that this is more than 90% probability that most of this change is due to human activity (9) – (14). The IPCC, unlike the Oregon outfit, is composed of thousands of actual climate scientists doing peer reviewed research (15) - (16). An independent review of 928 scientific research papers found 75% of climate scientists agree with the IPCC’s assessment and none strongly disagree with it (not surprising as the IPCC mostly analyses and produces a summary of research at intervals of 5 to 10 years) (17). NASA and others are also often quoted a supposed source that ice is growing in Antarctica. In fact every article on NASA’s website says the opposite, including that such claims are “misleading” and that “the ice sheet is not only losing mass, but it is losing mass at an accelerating rate.” They say sea ice in Eastern Antarctica is growing, but land ice in Western Antarctica is melting on a massively greater scale. (18) – (21). The theory that solar activity or sunspots account for the majority of climate change is held by a tiny minority of scientists. It’s possible the tiny minority could be right and the vast majority wrong, but it’s not likely. Galileo may have been almost alone in saying the earth rotated around the sun, but at that point there were almost no scientists and it was mostly very religious non-scientists rubbishing his claims. 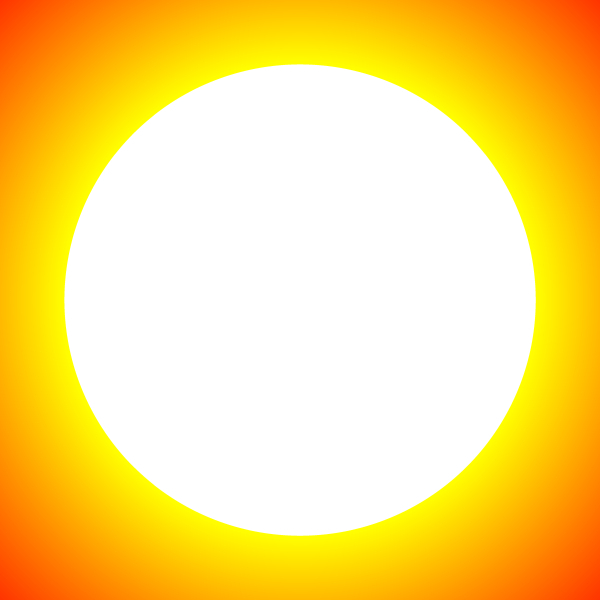 While there are non-human causes for part of climate change – and the earth did cyclically cool and heat long before the industrial revolution, the vast majority of research by solar scientists has found that solar activity and sun spots can account for at most a quarter of the amount of climate change we’ve seen since 1850, with the majority being man made (22) – (23). 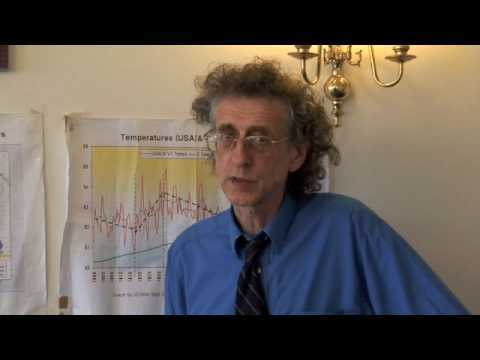 Weather Forecaster and physicist Piers Corbyn is much quoted for getting his predictions on the cold winters this and last year right, but his long term weather forecasting, based on solar activity, has been wrong as often as it’s been right. He’s predicted an extremely cold winter almost every year for the past decade and only got it right for two of those. His prediction of hurricane strength winds in the UK in the October and November 2007 was also completely wrong as were his predictions of very cold winters for most years of the last decade, including in 2008 . His overall record suggests that he's right that solar activity accounts for some weather and climate change, but that he's wrong in claiming it accounts for all of, or a majority of it. (24). Nor are short term weather events evidence against overall climate change Nor is a colder climate in some countries and areas inconsistent with scientists’ predictions on overall global warming. For instance global warming could reduce the temperature difference between the tropics and the poles, slowing or even stopping the current ‘Gulf stream’ warm water convection current which keeps the UK warmer than Alaska. If the Gulf stream stops, then the UK ‘s climate could become as cold as Alaska even though the average annual temperature for the world as a whole has increased. There is a lot of politics, misinformation and oil company money involved in climate change denial. (3) = Oregon Institute of Science and Medicine, http://www.oism.org/ - home page states ‘Several members of the Institute's staff are also well known for their work on the Petition Project, an undertaking that has obtained the signatures of more than 31,000 American scientists opposed, on scientific grounds, to the hypothesis of "human-caused global warming" and to concomitant proposals for world-wide energy taxation and rationing.’ Even if you believe their claims about their qualifications, not one even claims to be a climate scientist (saying they are vets, physicians, chemists, electrical engineers, etc). (13) = Glossary of Terms used in the IPCC Fourth Assessment Report / Glossary of Synthesis Report, Likelihood, page 83,http://www.ipcc.ch/pdf/assessment-report/ar4/syr/ar4_syr_appendix.pdf (‘very likely’ defined as greater than 90% probability).